‘ICS RoundToe SingleStrap’ is a rounded toe Standard shoe available online in Tan Satin. This is a classic, traditionally elegant style with a strap for added stability. As you can tell by the long list of dancers below that choose to wear this design, it&apos;s a very popular choice among the world&apos;s finest competitive dancers. Worn by: Greta Laurinaityte (UK Amateur Ballroom Champion), Alessandra Bucciarelli (World & Italy Professional Ballroom Champion), Sofie Koborg (Amateur Ballroom Champion), Stefanie Bossen (UK Amateur Ballroom Finalist), Mariya Sukach (Amateur Ballroom Champion), Rebecca Scott (UK Youth Ballroom Finalist), Ella Perry (UK Juvenile Ballroom Champion). 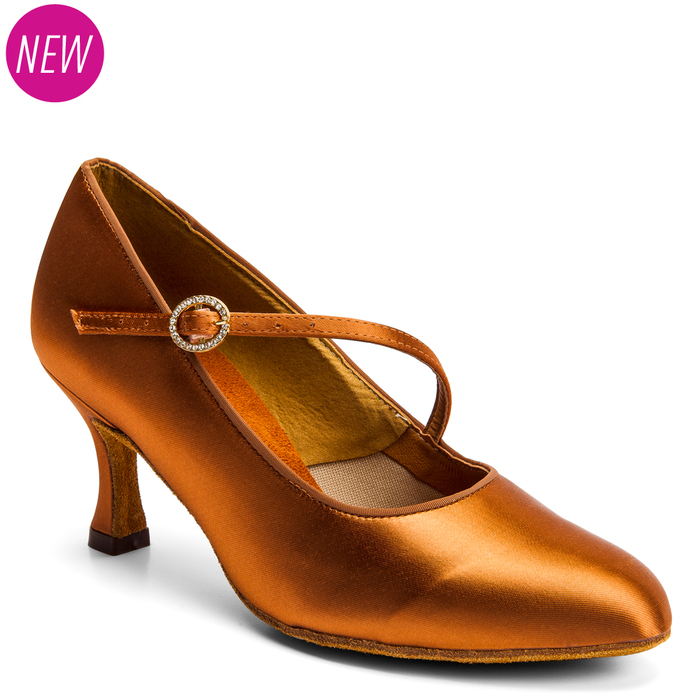 This shoe is pictured on the 2.5” IDS heel and it is also available in other materials. Click here for Flesh Satin and click here for White Satin. If you&apos;d prefer this design without a strap, then you can view that style by clicking here. This design is &apos;Made to Order&apos; and will ship within 5-7 working days. 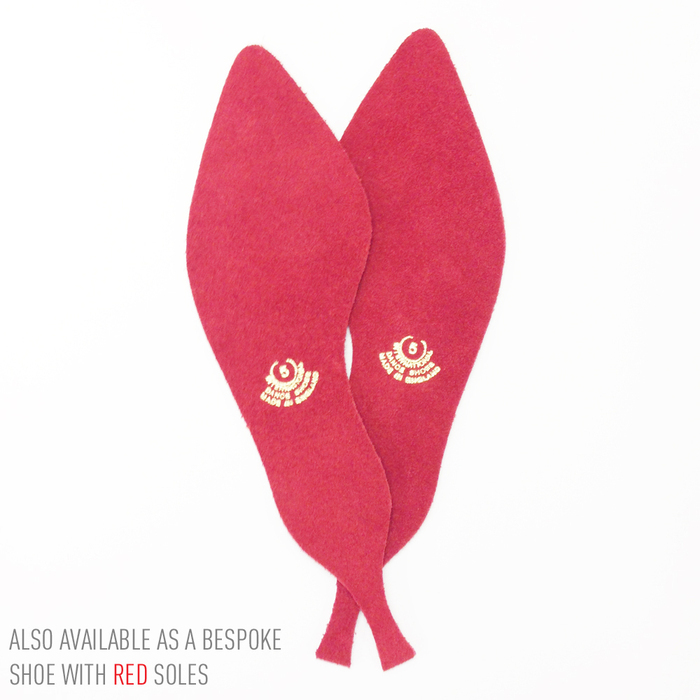 As a ‘Made to Order’ shoe, we find this shoe most popular on the 2” IDS & 2.5” IDS heels.